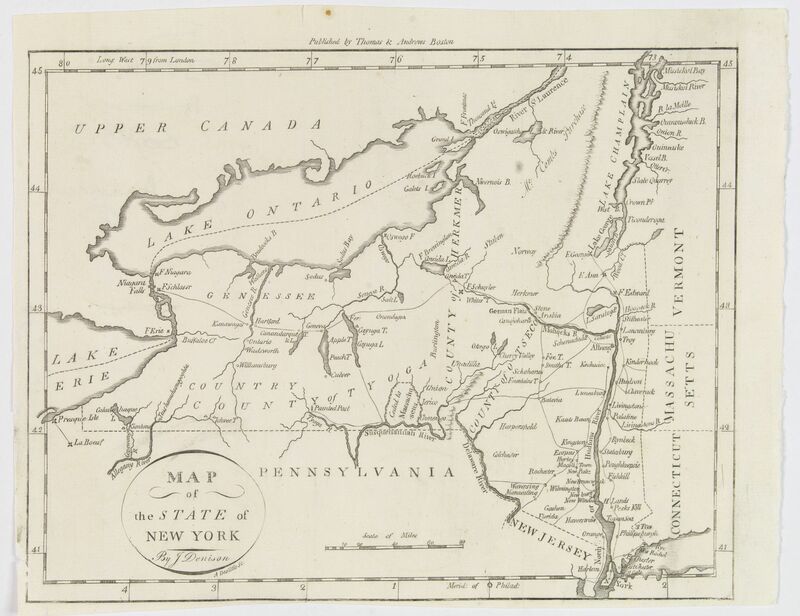 Old map by DENISON -Map of the State of New York. Title: Map of the State of New York. Size: 7.5 x 9.4 inches. Condition: With folds, map have been cleaned, a few short tears to folds - in good condition. Bottom margin tight to the neat line. A nice post revolutionary war map of the state of New York by James Denison, published in Boston by Thomas and Andrews. Map shows rivers, mountains, roads, state boundaries, and major towns and settlements. Shows Lakes Champlain, Ontario, and eastern edge of Lake Erie. From The Universal Geography.